Surface Area: 27,000 sq. 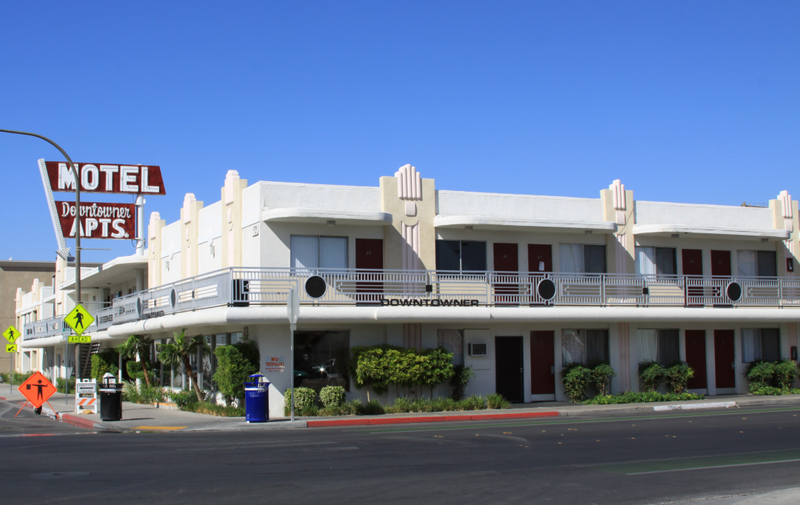 ft.
As part of the Downtown beautification projects in Las Vegas, this historic building built in the early 50’s has been refurbished many times over the past 7 decades. With each remodel and new roofing systems failing prematurely due to so many alterations on the roof, compounded by years of water ponding on this roof creating increasingly deeper ponding issues over time, the only choice for this client was Spray Poly-Urethane Foam Roofing. 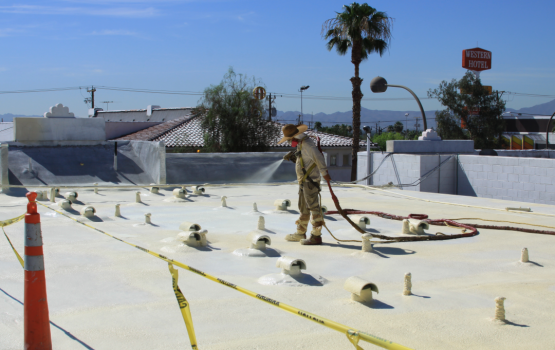 Foam roofing is the only seamless roofing system on the market. It has self-flashing properties because it is spray applied, which completely seals new pipes, vents and, wall details in a leak free fashion. As well, because the foam roofing can be sprayed at any thickness, MAC Roofing was able to improve drainage by building up low areas and reduce the pooling of water on the roof by over 94%. This system once installed has effectively reduced the dead load on this building by over 3 tons of water standing on the roof after a heavy rain, and in turn, reduced the load to the walls and improved the structural integrity of the entire building. The insulating properties of the roof have reduced the energy consumption by almost 20%.